BRAD LOVELL grew up camping and 4-wheeling in the Colorado backcountry. His professional career started in 2004 with his brother Roger. Together they have won 6 rockcrawling championships and stand shoulder to shoulder with the best in the sport. Eager for a new challenge the team focused on TORC and joined the Pro-Light field in 2010. 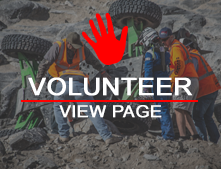 Lovell has proven himself as one of the most versatile off-road drivers in North America. He has won championships in short course, Ultra 4, and rock racing as well as victories in desert racing and hill climbs. He has amassed 9 season championships and more than 35 race victories which earned him the honor of Dirtsports Driver of the Year in 2012. Racing is a full-time occupation for Brad so when he is not at the track, he is hard at work in the shop or enjoying time with his wife and sons. He lives in Colorado Springs, CO close to his family, which is the backbone of Lovell Racing.